Today was finally a beautiful day outside and I tried to make the most of it. I went to the beach for my third spearfishing excursion of the year and was not disappointed. I was a bit hesitant at first because the previous days of wind and stormy weather really churned up the surf. It usually takes a few days of calm seas to settle things down and clear up the water enough to dive. So although it looked great on the surface, what was below the surface could have been a different story all together. and perhaps the best I've seen in New Jersey yet. It still wasn't great by diving standards but I have to take what I can get. I ended up with two very nice stripers. The first one was 36 inches and 17 pounds. The second was 34 inches and 15 pounds. I thought for sure the first one was over 20 but after weighing it, the scale doesn't lie. If this fish was only 17 pounds, I can not even imagine what it's going to be like when I finally see a 40+ out there. And I will see one some day. I promise you that. When I got home I put the fish on ice (thanks Pat!) and I will butcher them up tomorrow. It is supposed to be nice again tomorrow so maybe I will try a little crabbing for the first time. Looking back, there were crabs around this time last year. However, the weather was a lot warmer and nicer last year AND there was a ton of baitfish in the Shrewsbury River. Not so this year. It's just a matter of time though. Appropriately, I ate the very last of the the striper that I caught last Saturday. 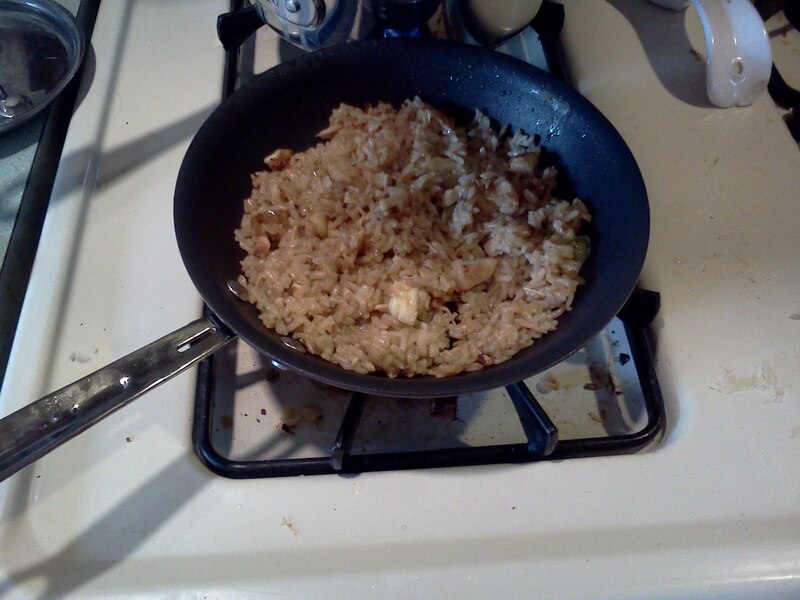 I've been making a lot of fried rice using cooked fish pieces, rice, butter, leeks (man - one big leek goes a LONG way), an egg, and some salt. It comes out really tasty. My only trouble is keeping Ty away. He eats a lot of my food! These two new fish should help me cruise easily to the finish line next week. I will most likely do the same things with them that I did with the previous fish - jerky, sushi, sauteed in butter, dipped in egg, etc. I still didn't use my fish stock for much of anything so I'll probably use the head and bones of these fish to try to attract some crabs tomorrow. I worked on the chicken coop for a while again today. It still needs some work. Every time I start, I get sidetracked by the kids. It's a fun project though. I'll get some more done tomorrow and then move the girls from the old area to the new area. I also spent about an hour just sitting in my backyard enjoying the sun while it was out and blazing. That's the first time I just laid back and relaxed for a long time. "Life is occupied in both perpetuating itself and in surpassing itself. If all it does is maintain itself, then living is only not dying."